Last night, I attended the first of night of Larry Kane‘s “Ticket to Ride” lecture at the Franklin Institute in Philadelphia. Larry will be giving these presentations every Friday and Saturday throughout March 2010. Note: I’d say the theater was about 3/4 full for this opening night performance. A little background: I had seen Larry talk during his 2005 book tour for “Lennon Revealed” his second book about The Beatles. Though I never read his first book, “Ticket to Ride”, I anxiously dove into the new one. Back to the present: So when I ordered my $35 ticket to this new 2010 show of his, I had to wonder what he had left to say about his time with the Fab Four. I must admit I was pleasantly surprised! This show was very well done. It opens with a 20 minute video introduction that did make me wonder how much actual talking Larry would do, but once Larry came out after Denny Somach’s introduction, he broke into stories about The Beatles that had still remained untold. The show was produced beautifully and the mix of concert footage and interviews with Larry’s story telling was very well balanced. 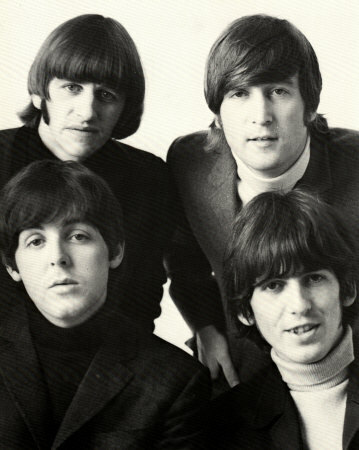 Larry’s amazing and sometimes shocking stories of his time traveling and interviewing John, Paul, George and Ringo will either make your jaw drop or make you howl with laughter. After 1 hour 45 mins., Larry was happy to take questions from the audience. And despite Denny Somach’s insistence that Larry wrap it up for the night, Larry was gracious enough to keep saying, “I’ll take one more question”. He honestly loves The Beatles and loves talking about him. The show was not without its problems. There was a moment when Larry’s outlined lecture was not inline with the cued video, but honestly, this just brought a giggle from the audience and was completely forgivable for an opening night. Larry also bumped his mic several times which can also be dismissed as an opening night faux pas. Larry Kane is currently working on his 3rd book to be called, “When They Were Boys”. He told me it won’t be published for a couple years, but I know I’m already looking forward to it. 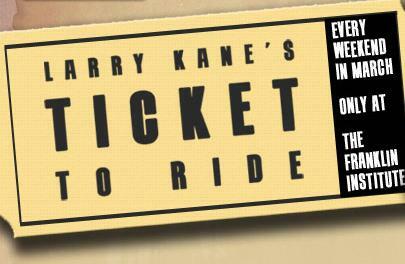 If you are in the Philadelphia/NJ/NY area and can get to Larry Kane’s ‘Ticket to Ride’ show this month, it will be well worth the price of the ticket! For more information, go to www.LarryKane.com or www.FI.edu. Read Lennon Revealed and absoutley loved it. Can’t wait for your new book and I am looking forward to seeing the show at the Franklin Institute. How priviledged you were to have that special time with the most famous group in the world. See you next Friday. Best of luck on your new book. Looking forward to reading the book, has he announced a date?